Before the blast cleaning process, we protect all pipe ends with end caps as standard. 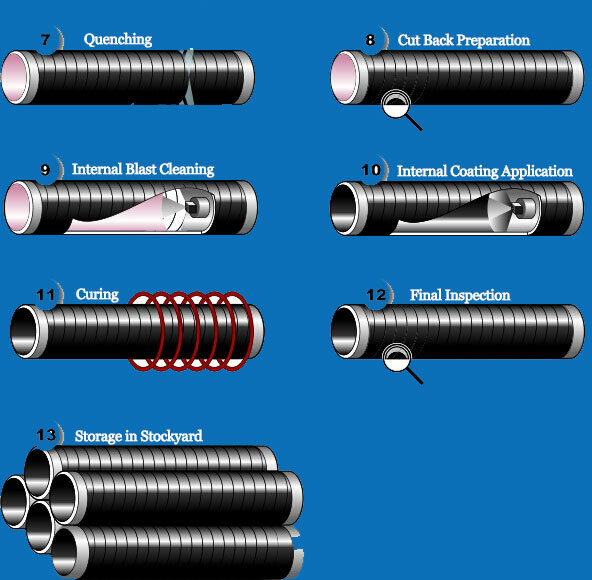 Pipe preparation is a key factor in the application of coatings therefore we pay particular attention to the cleaning process to achieve the highest standard possible. The process includes two external blast cabinets, the first of which uses steel shot followed by steel grit in the second machine. We select the most appropriate grades of abrasive and control parameters to ensure optimum results.portation, warehouses. 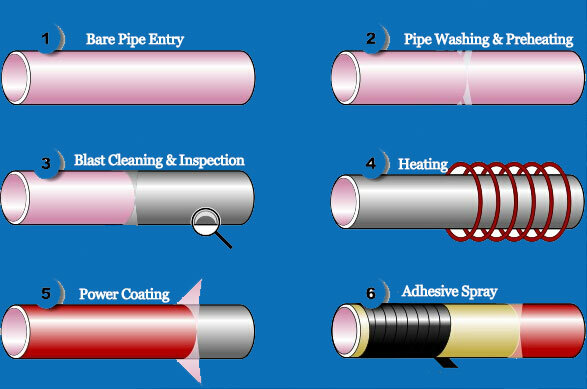 Our coating process incorporates multiple test and inspection stages in addition to initial pipe receipt and final inspections. Infra-red detection equipment monitors ambient and pipe temperature parameters; coating application is meticulously controlled.